I admit it, I have an interest in something other than Pilates. David Beckham’s tattoo’s, Mark Harmon in NCIS and Andy Murray’s apparent inability to smile. All celebrities, all worlds apart in their respective talents and all of them do Pilates. The most interesting thing here in relation to Pilates is that they are all Men and all celebrities, Do real men do Pilates? It seems so and age doesn’t seem to be an issue either (but that’s another post!). We are used to having Fitness Pilates drip fed to us daily via Social media, Fitness magazines and endless Pilates Ab Toning/sculpting/defining Apps and DVD’s but what is it that fascinates us so about other peoples exercise and diet habits? As taking a selfie becomes as common as cat hair on my work out pants I’m not even sure we know what were aspiring to look like anymore. Whether is Kardashian’s infamous bottom (I’m sure it has its own diplomatic immunity and security) or Madonna’s arms and reinvention of the term Pilates lean. 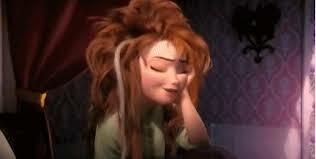 Personally if I wake up not looking like Anna in Frozen the morning after the night before its a bonus (Finally Disney acknowledges that even Princesses cant blow dry their hair whilst asleep). The truth is just as Anna isn’t real, neither are any of the PR photos of Gwyneth, Jennifer or Victoria as they’re photographed leaving the gym or Pilates Studio. Though all have publicly credited Pilates for helping them maintain their figures. We would be naive to assume that Pilates alone can get us all cat walk ready doing it just one hour a week. It can however be a powerful addition to any healthy lifestyle, along with diet and additional exercise. In reality none of us know why celebrities take up Pilates, we assume its just body shaping but the truth is there are many reasons why people practice it and continue to do so, getting a toned stomach, arms and bottom are just a small part of what this Method actually has to offer. Campaigns such as http://www.berealcampaign.co.uk/ are going to be pivotal in helping reverse the damage of generation selfie and generation like, we are more than our appearance and as Mr Beckham’s tattoos have proven sometimes doing it your own way fly’s in the face of expectation, even when a global brand is at stake. So the next time you see yet another ‘Perfect’ teacher demonstrating their pert abilities on Instagram be confident in your ability to understand and teach this work even if your hair isn’t blow dried before 5am. As for Mr Beckham’s derriere I will leave Victoria to comment on that.